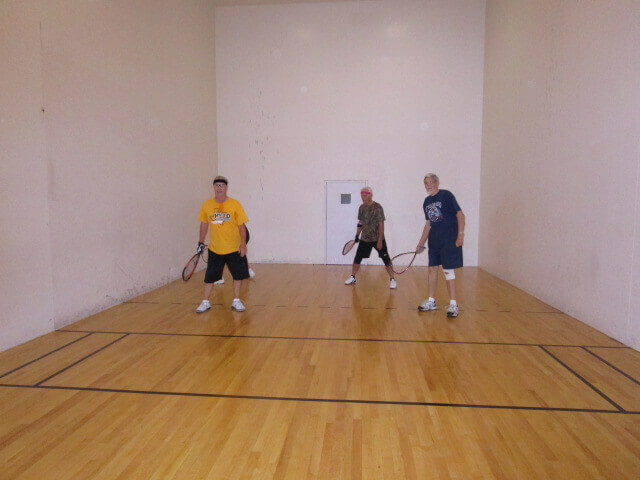 The racquetball court in the Aquatic & Fitness center is open every day during regular hours. 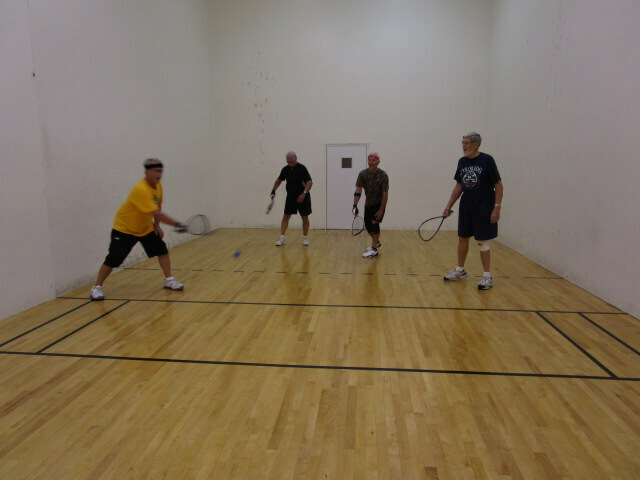 The club meets Monday, Wednesday, Friday & Saturday at 8 AM for doubles racquetball. 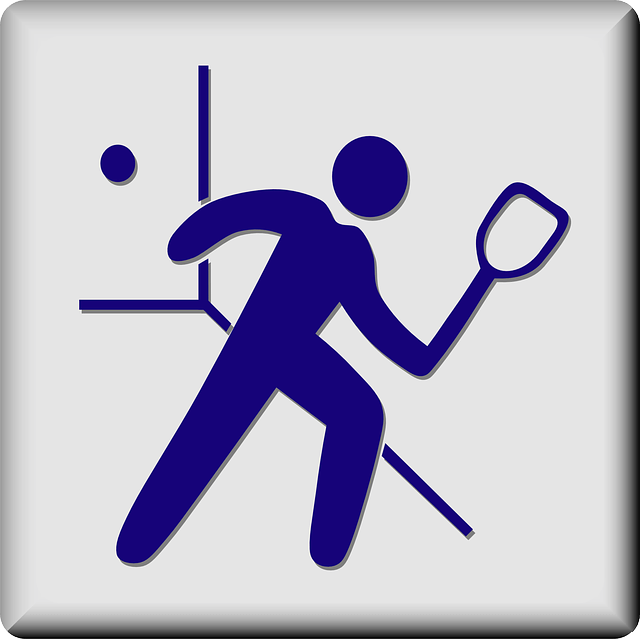 We have players ranging from beginner to advanced and the object it to just have fun. Annual dues are $5. 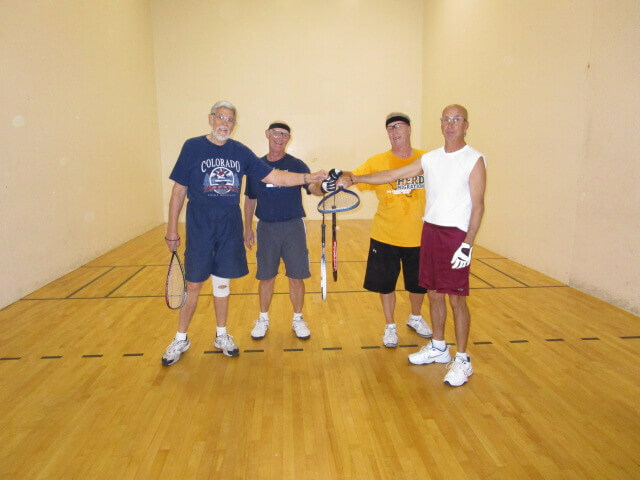 The club has also formed the Racquetball/Pickleball Beer League that meets Wednesdays from 1:00 – 3:00 on the pickleball courts during warm weather, followed by socializing at the Views restaurant. The club has its annual business meeting/social in January and an annual Spring BBQ in March. Anyone interested in joining should contact Michael Steinmetz, secretary/treasurer, at 520-955-7833.